I’ve tried selling clothes on eBay in the past. I’ll admit, I was unsuccessful. Well it’s not so much that I failed as it is I had no idea what I was doing and was pretty new to eBay at the time. But in a lot of ways, I think getting started with selling clothes really prepared me for selling other products. Selling clothes on eBay isn’t necessarily “hard”. It’s probably one of the easier things to sell, depending on the types of clothes. In fact, clothes are one of the most active categories on eBay. 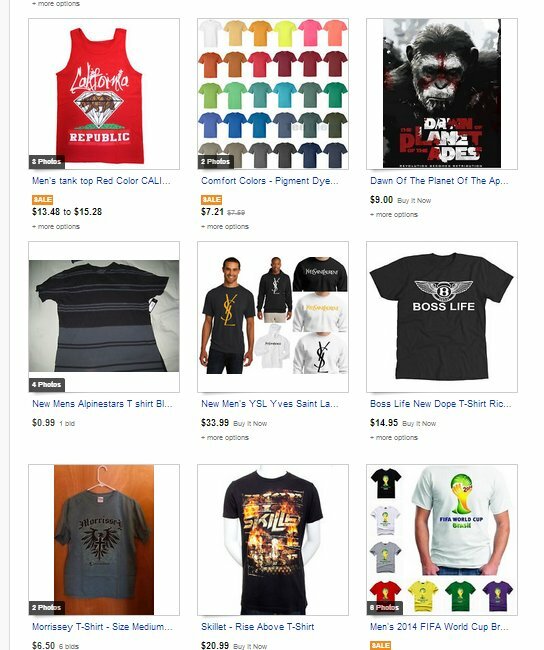 But before you get into selling T-shirts, pants, hats, or whatever other clothes on eBay, I wanted to give you some tips that you should take with you in order to avoid making the mistakes I made. Note that these tips are a mixture of tips for selling brand new or used clothes fyi. The very first thing I would do differently if I started selling clothes on eBay again is to buy a mannequin, or get someone to model what I was selling. People like to see how a shirt, hat, pants, etc. will look on a person before they order it. Reason being is they want to see the fit of it. This is particularly important when you’re talking about shirts. 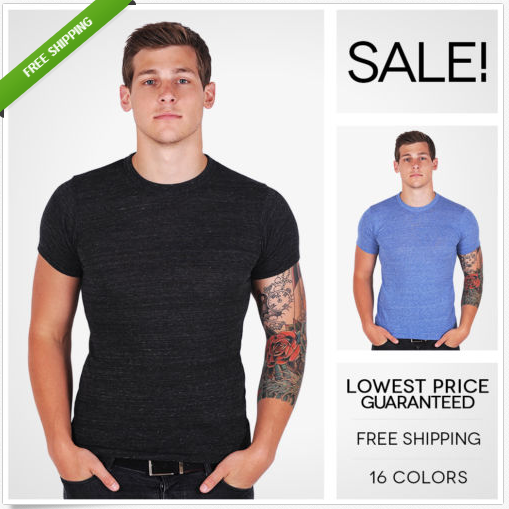 Some shirts are fitted, some are looser, others are loose in certain areas but tight in others. Basically, it’s a good idea to give people an idea of what your clothes look like in your listing. As for whether you should go with a mannequin or model, it depends. A mannequin is probably easier because you can continuously use them. If you go the model route, then you have to constantly get them to come and model new pieces whenever you get them, and if you’re paying a model this can become pretty expensive. Now if you’re selling used clothing, then a mannequin is a must have. People know that used clothing has been worn before, but seeing someone actually wear it before you buy it is kind of a turn off. Mannequins are actually not that expensive and they have a ton of different types (full body, upper body, just the head, etc.). And you can also get weird ones like this (not sure what you’re selling to need one of these though!). If you’re going to be selling used clothes on eBay, you’d better make sure that you check every inch of it before you list it. Because you can guarantee whoever ends up buying it will look over it like a crime scene investigator and they will find anything wrong with it. It’s almost like buyers look for an excuse to return something. Those are your two options. Some people may say to try to fix whatever’s wrong with the clothing, but to me it’s not worth the time and effort unless it’s something extremely valuable. Don’t even think about listing something with flaws in it and not mentioning it in your listing. You’re basically asking for a negative review or going through the trouble of doing a refund. My personal recommendation would be to not even bother selling it, especially if it’s something you’re buying to flip. Your pictures will make or break your listing. If you’re not going to make the effort to take decent pictures, don’t even bother getting involved with selling clothes on eBay. The higher quality your pics, the more professional you come off and the better your listing will stand out. And I’ll just be blunt, people don’t want to buy clothes if the pictures make them look dingy, old, and nasty. Notice how the listings that aren’t as professional stand out for all the wrong reasons. This brings up another point actually. Never do the t-shirt on a hanger thing. 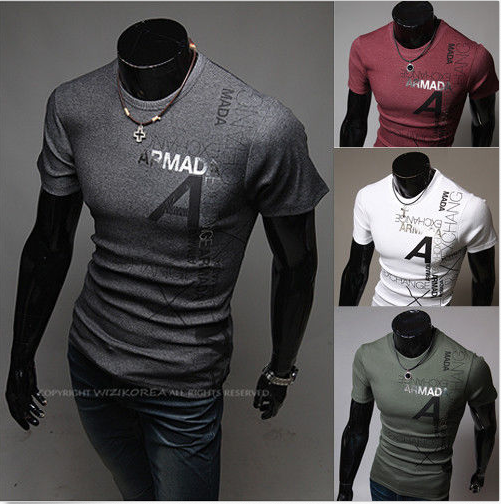 If you don’t have a mannequin to use, then fold the shirt up nicely or do a full shot that looks professional like the “Boss Life” shirt listing. The goal is to make your merchandise look as presentable as possible. Something about a shirt on a hanger laying on the floor just doesn’t seem very appealing to me. Another thing to keep in mind is the direction that eBay is heading in. Over the past few years in particular, eBay has been trying to rebrand themselves somewhat as an e-commerce site rather than the place you go to get rid of all of your old junk. Yes, you can still get rid of your old junk, but I’ve been noticing that eBay is definitely trying to highlight the higher quality sellers and listings more than the average Joe that just wants to sell a T-shirt they found in the back of their closet. 4: Research, Research, and Research some more! Not doing the proper research is probably my biggest mistake when I was selling clothes. I stupidly tried to sell clothes that I personally liked. That’s basically the dumbest thing you can do when selling anything, not just clothes. You need to research eBay and see what types of clothes, brands, sizes, etc is selling the most at any given time. This will change throughout the year, so you have to constantly monitor the trends. That’s one of the reasons I prefer to sell things that aren’t seasonal or “trendy”. Certain things will sell for higher prices depending on what time of the year it is. You can sell T-shirts and polo shirts at a premium during the Spring/Summer, and you won’t have as much luck selling wool coats in July as you will in late October and November. It’s all about knowing your market, and taking advantage of peak selling times when it comes to clothes. Research is even more important if you’re flipping used clothes you’re sourcing from the flea market or thrift stores. I remember my first time hitting a thrift store looking for clothes to pick. I had absolutely no idea what I was doing. There were so many clothes, and I had no idea what was valuable, popular on eBay, or even if the prices there were cheap. It’s because I didn’t take the time to research. The people who are really successful with flipping clothes on eBay know exactly what brands to choose, and how to pick quality merchandise. If you’re not going to take the time to research, you’re going to waste a lot of money and time. If you did your research, then the clothes you’re selling will be in demand. That means you can get what it’s worth and don’t have to worry about the uncertainty of an auction listing. That’s one of the things that I actually did right when selling clothes. All of my clothes and accessories were sold as 30 day buy it now (BIN) listings. I’m not the only one who recommends BIN for clothing. Here’s an article from a successful eBay clothing seller that recommends the same thing. For the most part, this works with both used and new clothes. If you price it right, made a good listing, and it’s something that people want, it will sell. From the research I’ve done, and from my personal experience, fixed price apparel listings sell better than auction style. What tips do you have for selling new or used clothing on eBay? Let me know in the comments!